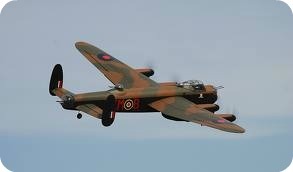 The ASM Avro Lancaster is a 10ft. wing span scale RC plane, with flaps and available retracts. The development of today's ARF RC airplane, means that models like the ASM Lancaster are possible and practical. With a wing span of 120"(3.048 M) and a total weight of 38lb plus, the Lancaster is definitely large scale RC! The Lancaster was Britain's most famous heavy bomber of World War Two and maybe most remembered as the Dam Busters. This was when 617 Squadron was formed to destroy the Mohne, Eder and Sorpe dams in Germany. In order to breach the dams, a special "Bouncing Bomb" was developed by Vickers designer Barnes Wallace. This was a cylindrical canister, that was pre-spun, on it's longitudinal axis, prior to launch. It had to be dropped from an exact height and distance from dam wall. When the bomb hit the water, it would bounce, like a pebble thrown across a lake, and would hit the dam wall. Here it would sink and depth sensors would ignite the bomb, with the dam wall on one side and the lake water on the other. This whole episode, is shown in the 1955 film "The Dam Busters"( Really worth a viewing). Rumor has it that a remake of this film is underway-I am really looking forward to that! 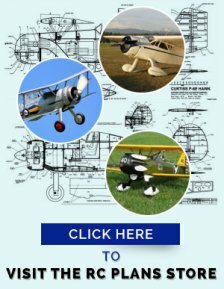 Take a look at this site, for further information, on the Lancaster, including a 3-view, unfortunately without cross sections. Model construction consists of a composite fuselage. with ply formers, carbon fiber longerons and an ABS plastic skin. 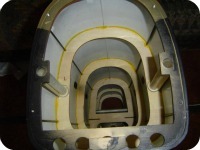 The photo at right( From RC Universe.com) is a cross section through the fuselage of the ASM Avro Lancaster. By the way, ASM stands for Advanced Scale Models, the kit manufacturers. This view is of the aft fuselage. The fuse splits at this point, to ease transportation. The aluminum tubes can be seen, on the left and right sides. Some modelers, who have a lot of transportation space, have glued the fuselage together permanently. Flying surfaces are from conventional balsa and ply and covered with balsa sheeting. The covering of the Avro Lancaster is from a clear plastic film, that is very tough, and then the scale, flat finish is sprayed on, with some kind of fuel proof paint. If repairs are necessary, then I suggest you test any paint you are thinking of applying, in an inconspicuous spot. I would try the water based polyurethane, available from Nelson Hobby. These are available in flat, military colors and are completely fuel proof. The manual for the ASM Avro Lancaster, does not include any information, on electric conversion, but does include good advice and tips for 4-engines glow operation. 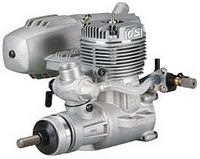 For 2-stroke RC glow plug engines, then a .40 to .46 cu.in. size is recommended. For a 4-stroke option, then the size range should be .52 to .60 cu.in. The photo at left shows the O.S 46 AX. The photo on the right, shows the Magnum XL 52 4-stroke glow engine. The sound produced by 4, 4-stroke engines is very sweet! A little heavier the the 2-stroke, but just as reliable. One tip I did come across, that could be very useful, for your glow powered Avro Lancaster, is to install a gyro, on the rudder servos. The major problem with multi-engined RC airplanes, is the rapid yaw that can occur when an engines goes "dead". The model can turn rapidly and if corrective action is not taken immediately, then a spiral and subsequent crash can be disastrous! The gyro can kick in opposite rudder automatically and quickly. The manual also suggests that the throttle servos are hooked up to two channels. One channel should be for the two inner engines and the other channel will be for the two outer engines. If you can tell which engine stopped, then you can then stop it's mate. You can then fly to a landing, as a twin engined model. At least, that is the theory! This is where a smart buddy, acting as an observer, can help you save the day. Balsa, plywood, carbon fiber rod and molded ABS fuselage skins. Balsa and ply wings and tail, sheeted and film covered. Factory painted fuselage, wing, tail surfaces, engine nacelles and cowls. 4-piece wing, for easy transportation. 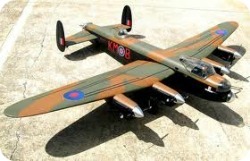 Nice flying shot, from Model Airplane News, of the ASM Avro Lancaster. 6-channel or more radio system, with mixing, dual rates and exponential. 9-standard size RC servos, for flaps, throttles and retract control valve. 4-high torque ( 6.5 kg. cm.) ball bearing, metal geared servos for elevator halves and ailerons. 2-standard size RC servos for bomb doors. 1-high torque, ball bearing servo for tail wheel steering. Extension leads, depending on set-up. 1-pair main wheels, 5 1/2in. diameter, balloon type. 1-tail wheel 2 3/4 in. diameter. 1-5 cell (6.0V) 3300mAh or greater capacity receiver battery. I have listed these parts as "Optional", but as far as the retracts and struts go, they are not really optional. The manual, for the ASM Avro Lancaster, offers no alternative arrangement! Heavy duty retract set, designed specifically for the ASM Avro Lancaster. 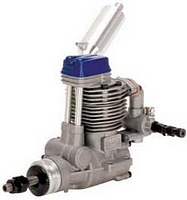 Complete with all the necessary air control hardware, like the operating valve, air tank, tees and tubing etc. Sprung oleo legs, for the ASM Lancaster. Scale looks and fully functional giant scale RC struts, that fit the retracts shown above. A bomb set is also available. This is a collection of 18 bombs, that drop when the bomb bay doors open. The Avro Lancaster, looks really impressive, when making a low level bombing run and bomb bay doors open and all bombs are away! 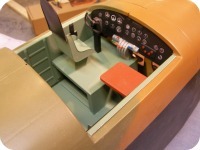 This is a very nice cockpit, available from Ty's Planes LLC. All parts are vacuum formed, from plastic sheet and you have to build it yourself! 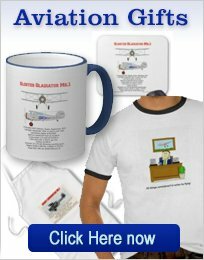 Designed specifically for the ASM Lancaster. it features a full cockpit (Complete with a scale size map! ), bomb site and information on how to build some impressive looking guns, that should outlast the plastic ones supplied with the kit. The links on the photo and the text above, will take you to Ty's site where you will find more information, on the cockpit kit. Ty sells through VQ Warbids, and if you click on the "Click to Order" button, you will be taken to the relevant page, on the VQ Warbirds site. There you will find a few excellent videos, showing full details on how to build the cockpit, as well as some great tips on finishing and painting. To give you an idea, of how good the videos are, take a look here at the first one. There are a total of 5 videos, for the Lancaster, plus 2 more on finishing and painting small parts such as cockpit details. The Lancaster will have no problem in problem in rolling on short grass or a hard runway. The big wheels make this an easy task. If all your motors are turning in the same direction, then you may find it a good idea, to have both rudders pointed out slightly, to counteract torque. This giant scale RC plane flies like a big powered glider. The flaps really help on landing and effectively slow this big bird down. Keep a bit of power on, during the landing approach as the Lancaster will stall and drop a wing, if flying too slow. A bomb run, at low altitude, is very impressive-just assign a helper the task of recovering all the bombs! This is an impressive looking ARF RC airplane and should be flown in a scale like manner. Although it is capable of loops and rolls, RC aerobatics just do not look right, when performed by a World War Two bomber! Great scale appearance, with the matt camouflage finish. 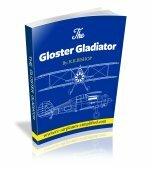 Easy to transport for a giant scale RC plane. Easy to fly and impressive in the air. Bomb bay doors and capable of realistic bomb drop. Retracts and struts should be part of the kit and not an optional extra. There were great comments about the flying characteristics and the building was generally without problems. The manual was criticized for lack of detail, but the details omitted where not a problem for an experienced modeler. There was some discussion about the "weakness" of the rear fuselage and a few ideas were presented, to "stiffen" up the structure. I believe that "beefing-up" the fuselage would not be a good idea. these fixes tend to do nothing but add weight and I believe that airframes should be built to fly well and not designed to survive a major crash! The ASM Avro Lancaster is definitely not a beginner RC plane and should be flown and landed with skill and not cart-wheeled! This video by "Bokus", is one of the first of the ASM Lancaster and shows how well it flies and lands.